Hollywood Dentist, Implant Dentistry, Invisalign, Cosmetic Dental Spa Toluca Lake - Sally Kashani DDS office offers Cosmetic, Implants and Perio, Sedation Dental, and Invisalign dentist. Hollywood, Toluca Lake, Studio City, Burbank, North Hollywood.Hollywood Dentist, Implant Dentistry, Invisalign, Cosmetic Dental Spa Toluca Lake | Sally Kashani DDS office offers Cosmetic, Implants and Perio, Sedation Dental, and Invisalign dentist. Hollywood, Toluca Lake, Studio City, Burbank, North Hollywood. Obtaining your best Hollywood smile is easier than ever before! Invisalign aligners allow you to continue your lifestyle with minimal interruption and transform your smile faster than traditional braces. The virtually clear aligners are easily removed and are comfortable to wear throughout the day. Dr. Sally’s gentle and exceptional Invisalign treatment makes the process a pleasant and satisfying experience. If you are interested in learning more about how you can transform your smile, schedule your free consultation by contacting our office at 818.518.7272. At our Hollywood office, one of the most popular cosmetic dental procedures is in-office teeth whitening. The perfect bright smile increases your confidence, and with Opalescence Boost, you can strengthen your teeth improving your overall oral health. Dr. Sally understands what having a beautiful, bright smile does to enhance a patient’s life. She desires to help you achieve your best smile with the latest in-office teeth whitening treatment. Learn more about how you can have a brighter smile in just one hour by scheduling an appointment at 818.518.7272. Once you’ve completed your Invisalign treatment, you need retainers to maintain that beautiful smile. Here are the top three reasons why you need retainers, even after months of Invisalign treatment. 1) A retainer preserves the newly straightened placement of your teeth. The fact is, your teeth aren’t set in stone. Your teeth are pliable, which is why orthodontic treatment can help move them into place. As a result, it takes time for your teeth to stabilize into their new position. A retainer provides necessary support by holding your teeth in position during the stabilization process. Did you know that your teeth can “remember” where they used to be located? If you leave them alone, they may try and return to their original position. One major goal of your retainer is to keep your new smile looking great, and prevent your teeth from reverting back to their crooked state. 3) There are different types of retainers available to choose from. You aren’t tied to pink plastic and wire. There are options. You can also opt for a clear retainer that fits over your teeth, just like a continued Invisalign treatment. There is also the option for a thin wire that is permanently bonded to your teeth to keep them in place. The reasons why you need a retainer are ultimately in the name itself- to retain the shape of your newly straightened teeth. You already invested so much time in getting to that beautiful smile, take that extra step to maintain it! 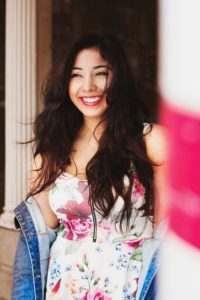 Dr. Sally Kashani, DDS offers Invisalign invisible clear braces for adults, children, kids & teenagers in Hollywood, CA & surrounding areas including Toluca Lake, Burbank, North Hollywood, Los Angeles & more. Schedule a free, no obligation consultation today. Call (818) 508–7272 for more info. In honor of Oral Cancer Awareness Month, the office of Dr. Sally Kashani DDS will be offering free oral cancer screenings for the entire month of April. Approximately 49,750 people will be diagnosed with oral cancer every year in the US. It kills one person every hour of every day, and approximately 132 new individuals will be diagnosed with it each day. The good news is that it can often be found early in its development, through a simple, painless, and quick screening. People interested a receiving a free oral cancer screening will be required to schedule an appointment with Dr. Kashani’s office by calling (818) 508–7272. Dr. Kashani uses latest innovation in light-based fluorescence technology called the ViziLite® PRO which provides a fast and effective approach to detecting epithelial dysplasia, even in its earliest stages. Oral cancer can often be caught early, even as a pre-cancer. With early detection, survival rates are high and the side effects are from treatment are at their lowest. Like other screenings you engage in such as cervical, skin, prostate, colon and breast examinations, oral cancer screenings are an effective means of finding cancer at its early, highly curable stages. Make them part of your annual health check-ups. There are two distinct pathways by which most people come to oral cancer. One is through the use of tobacco and alcohol, a long term historic problem and cause, and the other is through exposure to the HPV16 virus (human papilloma virus version 16), which is now the leading cause of oropharyngeal cancers in the US, and the same one, which is responsible for the vast majority of cervical cancers in women. The quickest growing segment of the oral cancer population are young, healthy, non-smokers due to the connection to this virus. For more information about oral cancer, please log onto The Oral Cancer Foundation’s official website at www.oralcancer.org. Fact #1: Smiling relieves stress. Studies show that smiling affects certain muscles that create a sense of joy or happiness. When you are happy or in a good mood and smile, the pertinent muscles are hit, causing the brain to release more happy or mood-changing signals (endorphins). The simple act of smiling, even when there is no apparent reason for you to do so, can also make you feel happier. Fact #2: Smiling reduces conflict. Complimenting a person with a genuine smile can help turn around a bad day. A genuine smile can help diffuse tense situations and put those concerned at ease. Fact #3: Smiling is an innate ability for babies. Although some people believe that babies mimic their surroundings, including smiling and laughter, studies argue that human beings are born with the ability to smile, since even blind babies can smile and laugh. Fact #4: Smiling makes a woman more attractive. 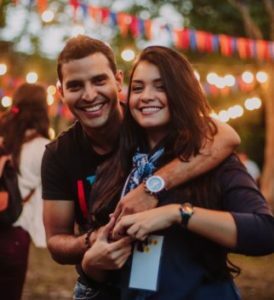 According to different studies, men find women who are not wearing any make-up but have a good smile to be more attractive than stone-faced women with perfect make-up. Perhaps the male audience is more attracted to smiling women in the audience than runway models? Fact #5: Smiles makes you appear more confident. Smiling is good for both your professional and social life. In the social scene, smiling and happiness is translated in your voice and makes you sound joyful and more engaging, which draws more people to you. In the professional scene, it makes you seem more confident and successful, increasing your likelihood of getting a promotion. 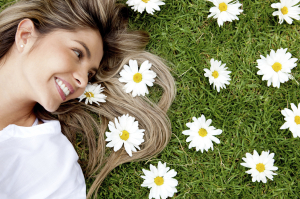 Fact #6: Smiling boosts your immune system. Big and genuine smiles where your squint your eyes are claimed to decrease the amount of cortisol produces in your body, which in turn boosts your immune system. Since your physical health is tied to your emotional health, those who smile more are claimed to live about 7 years longer than those who frown a lot. Studies show that smiling creates a “feedback loop”: your brain tells you to smile in response to a pleasant situation, but a smile can also tell the brain that you are in a positive situation. So, smiling cultivates good feelings all around! If you are thinking about improving your smile, it is important to dedicate a bit of your time to find a skilled and reputable cosmetic dentist. 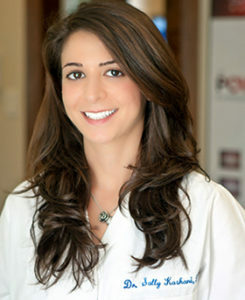 Dr. Sally Kashani is an experienced cosmetic dentist in Hollywood with the right tools, knowledge, skills, & education to give you the smile you’ve always wanted! She would like to share a few tips with you in finding the right cosmetic dentist. Talk to a friend, family member, colleague, neighbor, or some other person who has had cosmetic dentistry. If they liked their dentist, they will definitely refer you to them. If not, they will provide suggestions of things to look for in your search so you have a better experience. You can also ask your general dentist to recommend one depending on the procedure you want to undertake. Any reputable dentist should be able to produce samples or evidence of their previous work. You may not always trust the before-and-after photos on the practice’s website. But if you eventually choose to work with that cosmetic dentist after reviewing several of them, they will give you confidence that your smile will be successfully transformed. As mentioned before, any dentist who focuses on continual education and training will be listed as an accredited dentist in the AACD website. These dentists must satisfy rigorous guidelines to receive the credentials, so you can have peace of mind knowing that you will receive treatment based on the newest and verified techniques. 4. Wide range of procedures. ● White Restorations – crowns, fillings, etc. Dentists who specialize in cosmetic procedures typically offer digitally-created smile previews of the likely results using special software. The dentist simply inputs an image of your current smile, manipulates some data depending on the necessary procedures, and then produces a realistic full-color image of the likely results. Cosmetic imaging increases your chances of satisfaction with the procedure. Lastly, you should keep in mind that cosmetic procedures are generally not covered by dental insurance. So, you may want to consider working with a dentist who offers a range of financing options that meet your budget. For more information on cosmetic procedures with our very own Hollywood Dentist, Dr. Sally Kashani, give us a call at (818) 508–7272. The third molars, also known as wisdom teeth, usually emerge much later than other teeth at the age of 17 to 25 years as a person transitions into adulthood. The term “wisdom” has been associated with these teeth since the seventeenth century when they were referred to as “teeth of wisdom”. The term “wisdom teeth” was introduced in the nineteenth century, and has stuck since. So, Why Do We Call Them “Wisdom” Teeth? The name is mostly attributed to the time when third molars begin to emerge, as you transition from adolescence to adulthood. It is expected that with age, and more specifically, adulthood, you become more mature and hopefully wiser. Recently, studies have corroborated the idea of wisdom teeth emerging when the person is “wiser”. According to a new study, scientists discovered that the brain continues to grow and develop through adolescence. Other researchers agree that the brain continues to develop until the age of 25, when it reaches full maturity. So, it makes sense to refer to the third molars as wisdom teeth, as teenagers are ushered into the responsibilities of adulthood. Unfortunately, this is not always a joyous period, especially when you have to deal with the agony of an infected or impacted wisdom tooth. Why Do We Have Our Wisdom Teeth Extracted? Dr. Sally offers wisdom tooth removal in Hollywood. The development of a third set of molars is believed to be an evolutionary response to the diets and chewing habits of early man. Living as hunters and gatherers, their diets comprised hard, rough foods that caused substantial damage and wear to their teeth over time. To improve chewing function, it is possible that the human body evolved and introduced a third set of molars. But modern diets are different, and the wisdom teeth are not that essential. Some adults don’t even have wisdom teeth, and they live perfectly normal and healthy lives. When wisdom teeth come in without causing problems with adjacent teeth, they don’t have to be removed. However, they still pose a threat with regard to maintaining proper oral hygiene, as food debris can hide between the wisdom tooth and adjacent molar, where it is hard to keep clean. In such cases, they may need to be removed. Another reason to remove wisdom teeth is when they fail to erupt from the gums – where they are said to be impacted. Soft tissue impaction occurs when the tooth is stuck below the soft tissue, and may erupt much later; while a bony impaction refers to a tooth that is partially or fully obstructed by the jaw bone, meaning that it won’t erupt. Impacted wisdom teeth should be extracted because they increase the risk for infections by creating pockets where bacteria can hide. They may also interfere with the health or organization of other teeth. When you begin to experience problems with your wisdom teeth, it is best to consult your dentist on how to remedy the situation before it becomes a lot worse. See also: How to Prevent Dry Socket After Wisdom Tooth Removal.